Machine learning is transforming many industries and areas of work, and the design of very large-scale integrated (VLSI) circuits and systems is no exception. 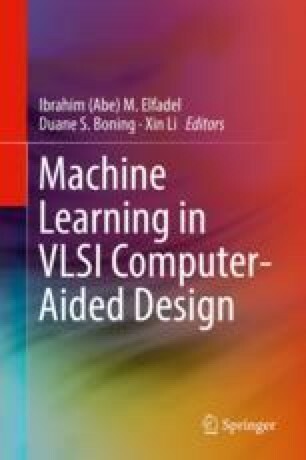 The purpose of this book is to bring to the interested reader a cross-section of the connections between existing and emerging machine learning methods and VLSI computer aided design (CAD). In this brief introduction, we begin with a high-level taxonomy of machine learning methods. We then turn to the design abstraction hierarchy in VLSI CAD, and note the needs and challenges in design where machine learning methods can be applied to extend the capabilities of existing VLSI CAD tools and methodologies. Finally, we outline the organization of this book, highlighting the range of machine learning methods that each of the chapters contributed to this book build on.